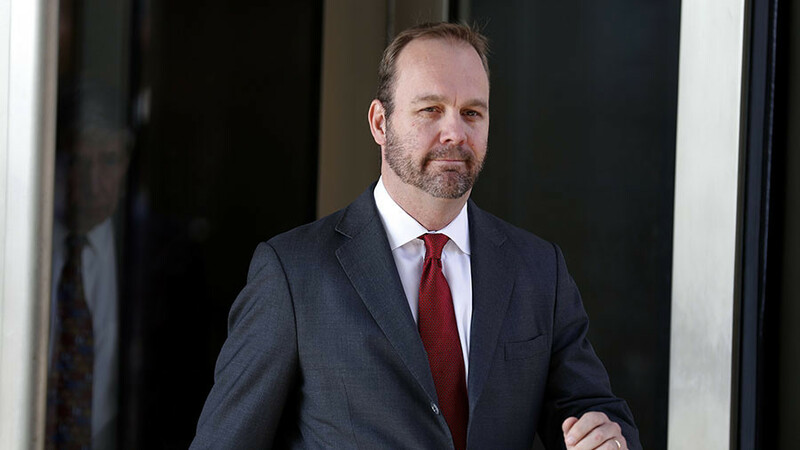 US Special Counsel Robert Mueller has charged the lawyer of Paul Manafort’s business partner Rick Gates with lying to Russia probe investigators. Both Gates and former Trump adviser Manafort have already been indicted. As well as allegedly lying about his communications with Manafort partner Gates, lawyer Alex Van der Zwaan has been accused of deleting, or failing to produce, emails sought by the Mueller’s investigation team which is looking into alleged collusion between Donald Trump’s presidential campaign team and Russia. Investigators quizzed Van der Zwaan about work he carried out for the Ukrainian Minister of Justice regarding the trial of Ukrainian politician Yulia Tymoshenko. Tymoshenko is a former political rival of Manafort's client Victor Yanukovich, a former president of Ukraine. She was jailed on corruption charges after losing the 2010 presidential election. Manafort, who ran Donald Trump’s presidential campaign between March and August of 2016, was indicted in October 2017 on 12 counts of money laundering, violating foreign agent laws, false statements, and “conspiracy against the United States.” None of the charges are related to his work on Trump’s campaign or alleged collusion with Russia rather they focus on his work in Ukraine. In the aftermath of being charged by Mueller’s investigation Manafort filed a lawsuit against Mueller on the grounds that his indictment violated the scope of the investigation. Following Manafort’s indictment Russia’s Foreign Minister Sergey Lavrov said that Washington should investigate the connections of the businessmen with ex-Ukrainian leader Yanukovich rather than blaming Russia with whom the men have no apparent connection. Lavrov stressed that there is no evidence supporting the idea that Moscow meddled in the election campaign. “I’ve already heard we’ll soon be not only interfering in elections, but also manipulating the environment in order to create floods,” he quipped. Shortly before news of the latest charges broke Trump again addressed his record on Russia by stating that he has been “much tougher” than his predecessor Barack Obama. News of the charges sparked a flood of reaction on social media, with the reactions largely breaking down along partisan lines. Many considered Van der Zwaan’s indictment quite insignificant while others, on the other side of the political divide, saw it as more evidence of Trump’s collusion with Russia. By Mueller indicting all these people on nothingburgers, it just makes Hillary's crimes against the state stand out even more. So many pleading guilty for lying—and Mueller hasn't even gotten to the actual heavy weight liars yet.